Today is the anniversary the death of my maternal grandfather, Albert Elmer Herman Lewis Melahn. 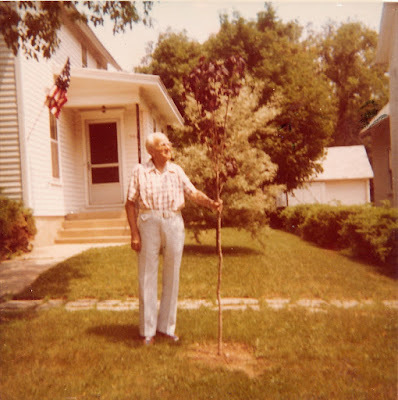 He is featured in the snapshot directly above (in a photo taken in years long gone by), with a tree he had just planted at the time. The passion that I have for the flora growing in my rooftop garden, very likely came from him. I discussed his probable influence on my appreciation for my garden in one of my first entries here on Blogger; which you may reference by clicking here.